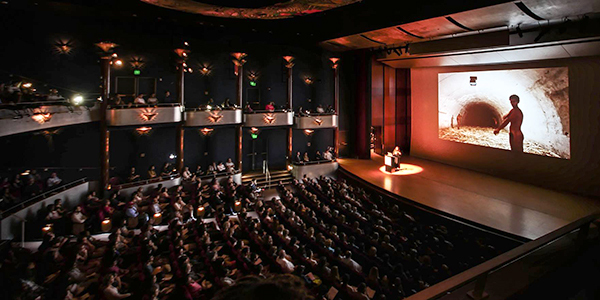 Launched by University of Houston President Renu Khator in 2009, the UH Arts Initiative focuses on the role of the arts as a catalyst for innovation and excellence. 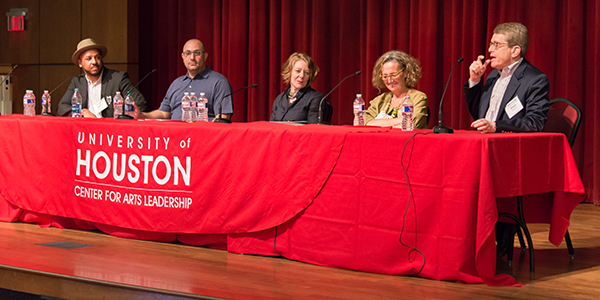 The UH Arts initiative strives to: make UH a vital destination for the study, practice and presentation of the arts; contribute significantly to Houston’s cultural vitality; and advance the creative process as a portal to innovation and problem solving across the academy, thereby integrating the arts into every student’s experience at UH. The initiative encompasses music, visual arts, literary arts, dance, theater, and design programs in the Kathrine G. McGovern College of the Arts, College of Liberal Arts and Social Sciences, and the Gerald D. Hines College of Architecture. By Jeannie Kever — The Art Car Parade is a Houston institution. Five University of Houston students joined the fun, with a twist -- creating an art car promoting environmental sustainability. By Sara Tubbs — Students in the senior graphic design program at the UH School of Art will soon be added to the growing list of artists making their mark on the city. They will join famed Houston graffiti artist GONZO247, in a large-scale installation to beautify the Cullen Boulevard-I-45 underpass. By Sara Tubbs — Ellen Fullman, creator of the long string instrument, will perform during this year's CounterCurrent Festival April 9-14. By Sara Tubbs — Some of the most internationally recognizable names in Latino/a/x and Latin American visual art will join art educators, scholars, curators, collectors, dealers and rising stars from Houston’s vibrant art scene for the 2019 Latino Art Now! Houston conference April 4-6. By None — When two artists from different generations worked together to resurrect a landmark Houston mural, the importance of archiving culture and preserving artistic legacies became even more paramount for aerosol artist GONZO247 and Chicano muralist Leo Tanguma. 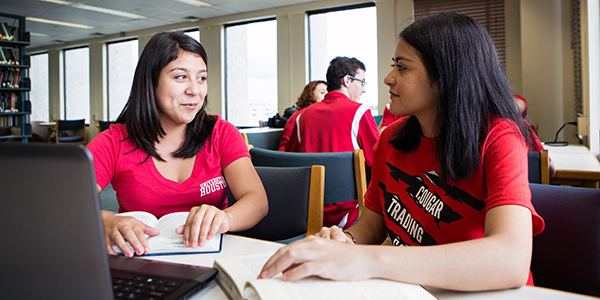 It’s the topic of discussion at the University of Houston April 6 during the LAN! Houston Conference. 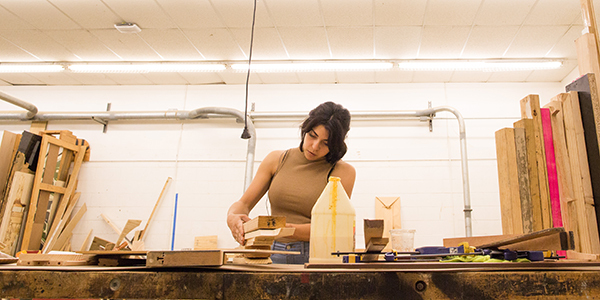 The College of Architecture and Design offers students a platform of integrated disciplines—Architecture, Interior Architecture, and Industrial Design. Faculty and students work together in a studio-centric curriculum, supported by a digital fabrication facility. Open studios seamlessly incorporate coursework into project based learning through material investigations and applied research. Led by Provost Paula Myrick Short, the Kathrine G. McGovern College of the Arts was established in 2015 to harness the power of the performing and visual arts entities to ultimately impact our world. The award-winning, internationally-distinguished faculty provides quality instruction to student artists from more than thirty programs of study. The School of Art offers an atelier environment found in many private art schools with access to the vast resources of a premier research institution. With internationally recognized faculty and alumni, innovative programs, and exceptional resources, the school provides unique and dynamic opportunities for graduate and undergraduate study in art, design, and art history. 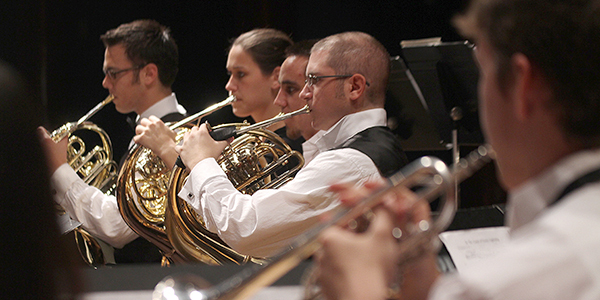 The Moores School of Music boasts an extraordinary faculty of internationally recognized artist/teachers, composers, music educators, and musicologists and theorists. The school offers a variety of strong programs leading to the Bachelor and Master of Music degrees, as well as the Doctor of Musical Arts and a non-degree postbaccalaureate Certificate in Music Performance. The School of Theatre & Dance produces plays, dance concerts, studio productions, a new play festival, and school shows through the Theatre for Young Audiences program. 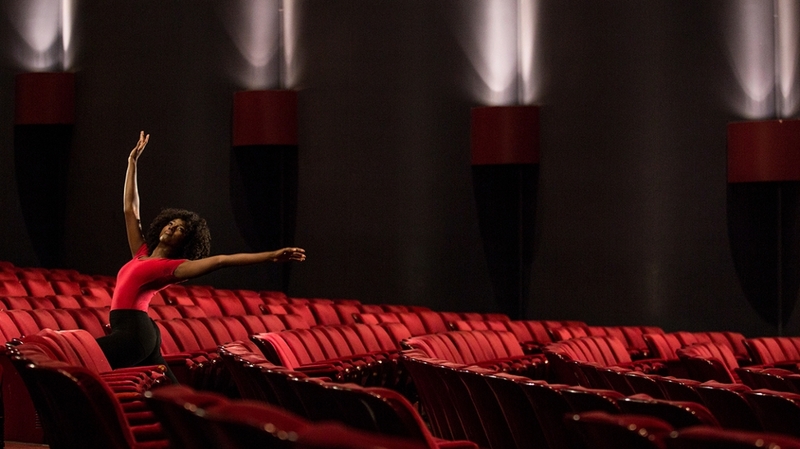 The school offers bachelor’s and master’s degrees in theater and teacher certifications in dance. Its graduate program offers a Master of Arts in Theatre and a Master of Fine Arts in Theatre with specializations in Acting, Design & Technology, and Costume Technology. 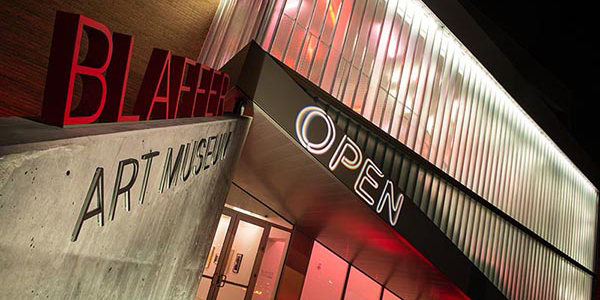 As the gateway between UH and the City of Houston, Blaffer Art Museum is a catalyst for creative innovation, experimentation, and scholarship. Its exhibitions and programs are free and open to the public, create community through dialogue and participation, and inspire an appreciation for the visual arts. 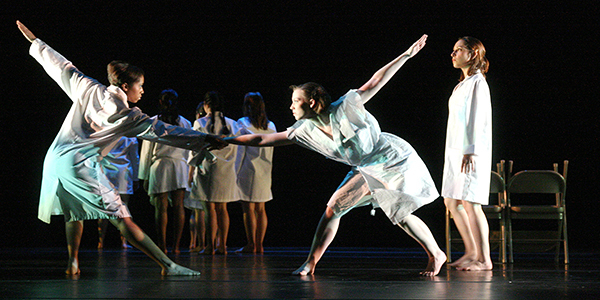 The Mitchell Center for the Arts is an alliance among five units at UH and cultivates interdisciplinary collaboration in the performing, visual, and literary arts. The center offers public events, residencies, and courses that fuse artistic disciplines, ignite dialogue, and present new ways of experiencing the arts. Building on the wealth of experience in the local arts community, the research and best practices of national organizations, the resources of UH and the city, the Center for Art & Social Engagement brings together artists, community, faculty and professionals around policy, research and best practices in the arts. Through workshops, independent studies, and literature courses, CLASS faculty work with students to challenge their understanding of themselves as writers and to deepen and critically reflect on the aesthetic, ethical, and political assumptions behind their writing. 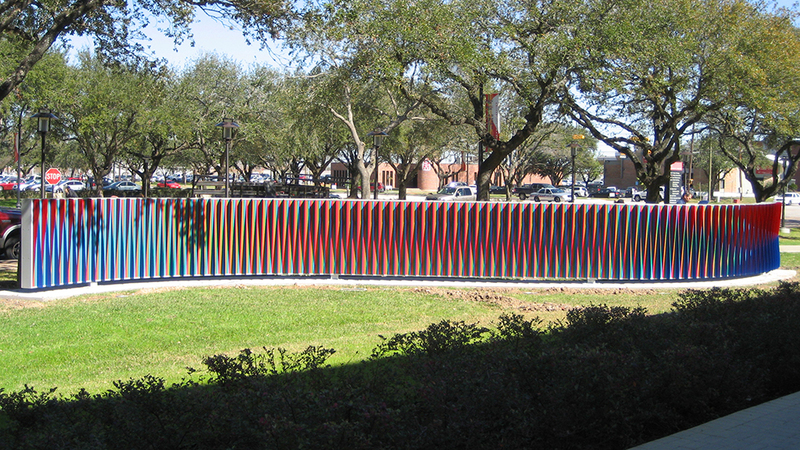 The University of Houston System Public Art Collection seeks to enrich the diverse cultural and intellectual life on the UH campuses and of the greater Houston community by building and maintaining a distinguished art collection of important regional, national, and international artists. The collection is enhanced by cross-disciplinary education and outreach programs. Learn more about the UH Public Art Collection.